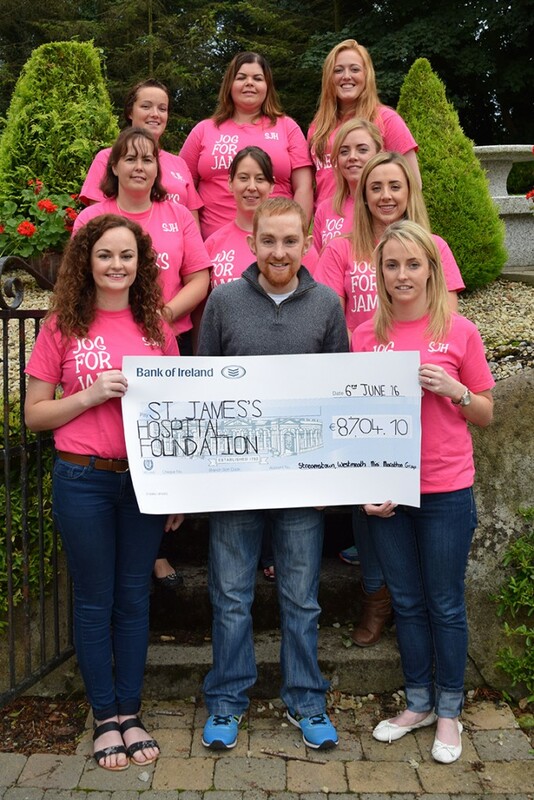 Congratulations and huge thanks to the wonderful team of women from Westmeath who raised €8704.10 for Cancer Research and Cancer Care at St. James’s Hospital. Sisters Orla and Brenda Mc Cormack along with cousin Lorna Flanagan and friends and neighbours, ran in this year’s VHI Women’s Mini Marathon. 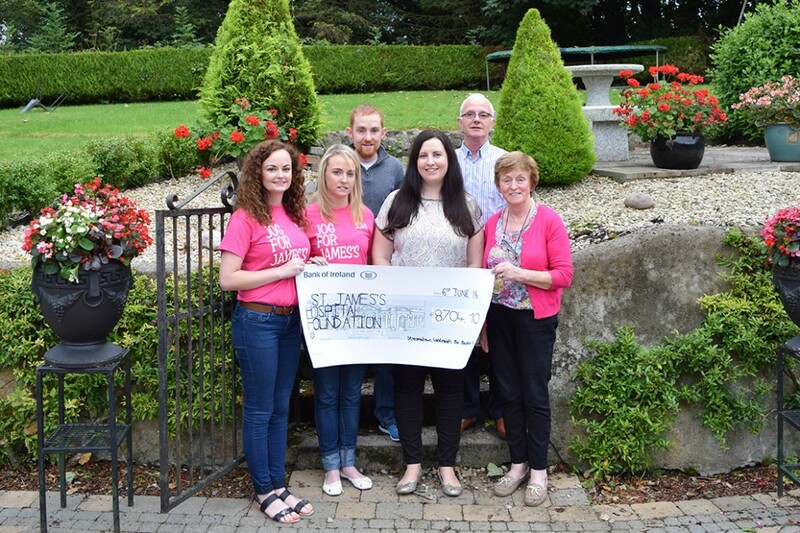 The women walked, jogged and ran to support Orla & Brenda’s brother Alan, a patient at St James’s Hospital and in support of other friends and family that were also patients at the hospital. Alan was diagnosed with Non-Hodgkin’s Lymphoma in 2015 and spent a lot of time in the hospital. He has undergone extensive treatment, including chemotherapy, radiation, a bone marrow transplant and two hip replacements. Alan is now back home with his family and regularly attends the hospital for treatments.